Back in March, Australia shelved plans to extend its copyright safe harbor provisions to services such as Google and Facebook. Now, following consultations with the entertainment industries, the government has revealed it will exclude such platforms from amendments to be tabled Wednesday. Educational institutions and libraries will enjoy new freedoms, however. Due to a supposed drafting error in Australia’s implementation of the Australia – US Free Trade Agreement (AUSFTA), copyright safe harbor provisions currently only apply to commercial Internet service providers. This means that while local ISPs such as Telstra receive protection from copyright infringement complaints, services such as Google, Facebook and YouTube face legal uncertainty. Proposed amendments to the Copyright Act earlier this year would’ve seen enhanced safe harbor protections for such platforms but they were withdrawn at the eleventh hour so that the government could consider “further feedback” from interested parties. Shortly after the government embarked on a detailed consultation with entertainment industry groups. They accuse platforms like YouTube of exploiting safe harbor provisions in the US and Europe, which forces copyright holders into an expensive battle to have infringing content taken down. They do not want that in Australia and at least for now, they appear to have achieved their aims. According to a report from AFR (paywall), the Australian government is set to introduce new legislation Wednesday which will expand safe harbors for some organizations but will exclude companies such as Google, Facebook, and similar platforms. Communications Minister Mitch Fifield confirmed the exclusions while noting that additional safeguards will be available to institutions, libraries, and organizations in the disability, archive and culture sectors. 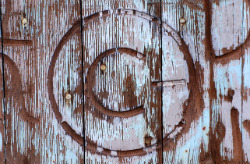 “The measures in the bill will ensure these sectors are protected from legal liability where they can demonstrate that they have taken reasonable steps to deal with copyright infringement by users of their online platforms,” Senator Fifield told AFR. According to the Senator, the government will continue its work with stakeholders to further reform safe harbor provisions, before applying them to other service providers. The news that Google, Facebook, and similar platforms are to be denied access to the new safe harbor rules will be seen as a victory for rightsholders. They’re desperately trying to tighten up legislation in other regions where such safeguards are already in place, arguing that platforms utilizing user-generated content for profit should obtain appropriate licensing first. This so-called ‘Value Gap’ (1,2,3) and associated proactive filtering proposals are among the hottest copyright topics right now, generating intense debate across Europe and the United States.